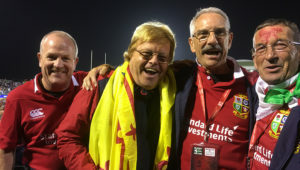 Great Italy v Ireland in Rome trips. Ireland will travel to Rome in the 2019 Guinness Six Nations to take on Italy. All of our packages are currently sold out. 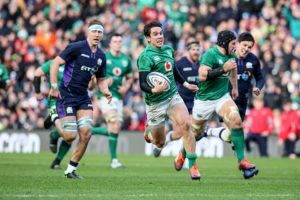 The trip to Rome is always an exciting affair and with the Rugby World Cup in Japan looming, Ireland will be looking to hit top form. 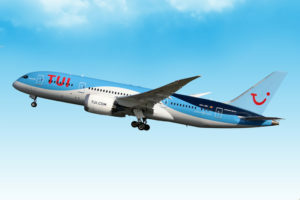 We have only one package remaining for the trip to Rome so book now and don’t miss out. Located in the heart of Rome, the historical Sina Bernini Bristol is one of the most renowned 5-star hotels in the Eternal City. Located between Piazza Barberini and Via Veneto, just a few minutes walk from the Trevi Fountain and the Spanish Steps, the 5-star hotel offers the cuisine of Michelin-starred chef Andrea Fusco at Guida Ballerino rooftop restaurant. 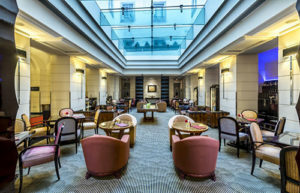 This historical hotel is connected to Rome Opera House through a passageway in its leafy courtyard. The Imperial style furniture and the antique decorations in all public and private rooms of the hotel provide, the Hotel Quirinale with an atmosphere of particular elegance and charm. 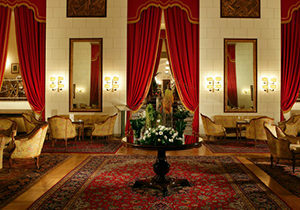 Set in a 19th-century building, the Quirinale Hotel is located in central Rome, 150 m from Repubblica Metro Station. The Spanish Steps and the Trevi Fountain are both within a 15-minute walk, while Vatican City can be reached by car in 10 minutes and the hotel is only 1 minute walk from the famous Flan O’ Brien Irish pub. Hotel Quirinale’s spacious rooms are uniquely decorated, featuring classic furnishings and the hotel offers both an à la carte restaurant and more informal Opera Bistrot. The Stadio Olympico is 6km from the hotel and can be easily access by both public transport and taxi. 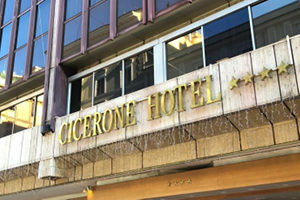 The 4★ Cicerone Hotel is located in the Prati area of Rome, a 10-minute walk from the Vatican City. The hotel is situated 450 metres from Lepanto Metro station which will bring you to the Spanish Steps in 12 minutes or simply enjoy a leisurely 20 minute stroll from the hotel to the popular tourist destination. Castel Sant’Angelo is a 5-minute walk from the property, while Via Cola di Rienzo, a popular shopping street, is just metres away. The popular Morrison’s Irish Bar is less than 100 metres away from the hotel. The hotel is approximately 3.5km from Stadio Olimpico allowing supporters to walk to scenic route in under 40 minutes or take a 10-15 minute taxi ride. 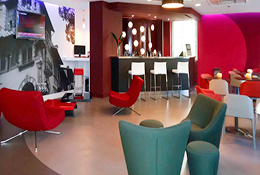 The 4★ Mercure Roma Centro Colosseo hotel offers an unforgettable setting for experiencing the charm of the Eternal City. 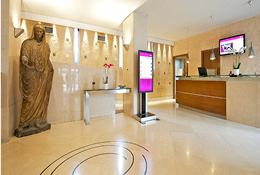 Situated on Via Labicana, just a few steps away from the Colosseum, the Roman Forum, Trajan’s Market and other important historical landmarks the hotel is also well-connected to the rest of the city with underground train and bus services that stop close by. The hotel is approximately 7.5km from Stadio Olimpico taking on average 20 minutes by taxi or accessible by bus and metreo in under 45 minutes. 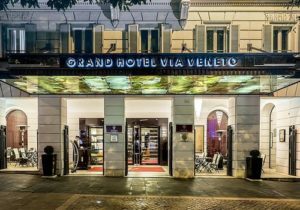 With a stay at Grand Hotel via Veneto, you’ll be centrally located in Rome, just a four minute walk from Villa Borghese and six minutes by foot from Spanish Steps. 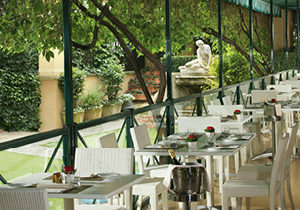 This luxurious hotel is in a beautiful location in the heart of Rome. 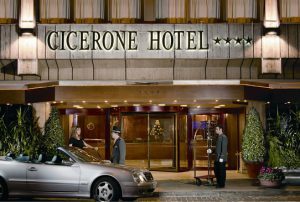 The 3★ Mercure Rome Corso Trieste hotel is located in the prestigious Coppedè district, famous for its 1930s’ villas and decorative architecture. The hotel is situated approximately 3km outside of the centre of Rome and is only 500 metres from the nearest Metro Station which will bring you to the famous Colosseum in 15 minutes/ Spanish Steps in approximately 20 minutes (10 minutes by taxi). Set in a residential area of Rome, the area is lively and has plenty of restaurants serving local Italian cuisine. The hotel is approximately 7km from Stadio Olimpico which will take 15-20 minutes by car, 30 minutes by public bus or 40 mintues by metro.